I have often argued if you want to be transparent in government, OPEN up everything except what is not allowable by law like personnel issues and pending litigation and let the public tell you if they are getting too much information – which is highly unlikely. A few weeks into my tenure, I directed that all available audio from the Parks and Recreation Board meetings be posted on the city’s website. This had been opposed in the past. Beginning in 2019, we also began recording video of these meetings. I commend the mayor on this decision, but this ball was already rolling when councilor Stehly pushed for this in the last administration. I initiated changes to the Council’s consent agenda — the list of contracts for goods and services the city enters into that require Council notification and approval. This was also something the council (and public) requested. And I will agree, it is much better. I am also easy to reach by the public. I hold regular office hours for the public and meet with community stakeholders and citizens on a daily basis. While this may be the case, having a security officer at city hall because someone stole a can of Coke out of the mayor’s reefer isn’t exactly a show of transparency. If the mayor is concerned about his security, he should talk to the State Legislature about banning firearms in public government buildings. I also think having ONE main phone number for the city with a switchboard will be helpful, something the mayor says he is working on. This is WAY overdue. And why do the bureaucrats always have to split community stakeholders and citizens? As in “I hold regular office hours for the public and meet with community stakeholders and citizens on a daily basis.” Aren’t we are all citizens or at least all stakeholders? This week my administration launched a Community Dashboard to provide the public and media with key performance indicators that are easy to access and simple to understand. The data or Community Dashboard is worthless if you do not know the cryptic file naming scheme, in other words, it needs work. I have never understood why Sioux Falls doesn’t have a simple website like the City of Omaha. Notice the department tabs on the left hand side of the home page. When you click on them they give you more contact information and a search engine that assists you in what you are looking for. It seems the city’s IT department is making things more complicated by creating a portal that doesn’t really work. Break it up into departments and let people search from those tabs. While PTH has made some strides in transparency, it has been from the pressure of the council and public, for example the Event Center Campus Book Club meetings. Those meetings would have never been open unless there was pressure from councilors Starr and Stehly. I challenge Paul to open everything up and then deal with the criticism from too much transparency, I can pretty much guarantee he will hear NO complaints from the public, the REAL stakeholders in this government. We all know the truth, Mayor TenHaken and his staff were forced to open up the Events Center Campus Book Club meetings because councilors Starr and Stehly are sticklers about open government. God Bless Them! So in a ‘sour grapes’ move I’ve been hearing they had their first ‘Open Meeting’ in the crowded old commission chambers instead of Carnegie. They supplied about 2 chairs for the public for a 3 hour meeting. Staff was rude, and several city employees were burning up the time clock ‘hanging out’ in the meeting. This is NOT open government, this is obstinance. Many people in government, conservative, liberal or whackadoodle don’t believe government should be open. They think things get done ‘faster’ when we shut r’ down. While this may be true, it usually doesn’t turn out well for the public. It has been proven time and time again open government prevents fraud, corruption and saves taxpayers money, but all those arguments aside, only one thing matters; We OWN this government, we have a right to see what is going on, it is OUR money. 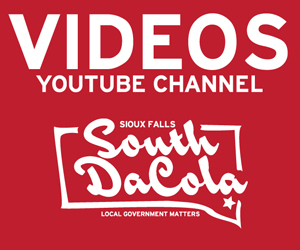 I have told people if Sioux Falls city government sided on openness I wouldn’t have to have a blog. The fight gets tiresome sometime, because it’s always the tired old predictable things that happen under closed government. Why must we fight for something so hard that is so easy? 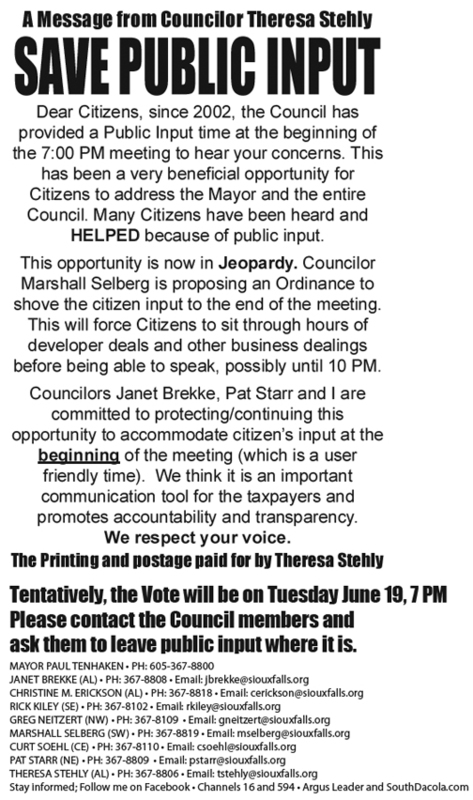 You promised transparency Mayor TenHaken, NOW is the time to deliver. The email said the group would like to retain the ability to meet privately if “nonpublic” information ever needed to be shared, but said he did not expect the need to arise. When it comes to a grouping of public buildings there is no such thing as ‘nonpublic’ information. Bucktooth & Bowlcut tried that approach with the Denty’s siding debacle, it blew up in his face. The only information that can be withheld from the public in closed door executive session has to do with pending litigation and personnel. Since this volunteer group wouldn’t have access to that kind of information anyway that means ALL of the meetings need to remain open. I think this is just a sneaky way of heading off Starr and Stehly to convince them there is NO NEED to pass the resolution, but I still think they need to so they have some insurance in case they try some back door deals. A statement in a supposed email about a supposed vote in a closed door meeting doesn’t cut the mustard. “Our stance all along was ‘we’re not going to force you guys to meet in public if you don’t want that,'” Nelson said. Hey, TypeOver, when it comes to OPEN, NON-PARTISAN government, that isn’t up to you or volunteers on a task force committee. The meetings MUST be open to protect the public’s best interest and to have the best OPEN and HONEST conversations, there never should have been a ‘choice’ in the matter. I would advise councilors Starr and Stehly to push ahead with their resolution to ensure the meetings stay open. I think the administration, especially Deputy COS, TJ TypeOver looks especially foolish for proposing closed meetings to begin with. If someone on the task force was uncomfortable with open public meetings, you pick someone else, it’s really that simple. So now we have to go thru a bunch of steps about supposed votes and emails, resolutions by councilors and excuses from Mayor TenHaken’s staff when we could have just done the right thing to begin with. See folks, this is what happens when you try to keep secrets from the public. The SCOTUS opinion was just released on June 18, 2018. ONLY Thomas dissented in this 8-1 decision. Mayor Paul TenHaken won’t repeal a Huether-era executive order that threatens punishment for city employees who share confidential information with the public, despite previously saying he would. “Rather than continue the practice of having employees sign confidentiality statements, we felt it would be more efficient to place this provision in policy,” O’Toole wrote in an email then. But confidentiality in different departments means different things, and that is why a ‘blanket’ policy makes NO sense. Brekke, though, still believes some of the language in the confidentiality executive order is too vague, especially phrases that say city employees shall not share “sensitive information” and only when it’s related to the “business necessity” of the city. Because those phrases, Brekke said, aren’t strictly defined, it could be causing “a chilling effect” when it comes to city staff’s willingness to share the government’s business with the public and the media. 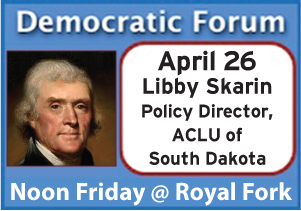 If a full repeal is off the table, Brekke said she hopes to have more conversations with both the mayor and O’Toole about softening the executive order or better defining what is and isn’t confidential. TenHaken said that’s not out of the question. If I was Brekke, I would take action with council legislation. During the campaign, the public spoke loud and clear, we need MORE transparency in government, not more of the same. But with this issue, Legacy hiring Ketchum and the fiasco with Public Input, it seems that TenHaken is just giving ‘transparency’ lip service and little else. A charter revision dictated by a petition drive and voters may be on the horizon, sooner, rather than later. Cameraman Bruce has attended many meetings of multiple Sioux Falls boards and commissions I have noticed these issues. At this point he’s not singling the Board of Historic Preservation because things are noticed in most of the meetings making you scratch your head and wonder why. Cameraman Bruce had been asked when the Board of Historic Preservation was and where because there was no required notice of future meetings on the website (potential SDCL 1-25?). A trip was made at 2:00pm on the 13th to City Hall to check if the west entrance door was the posted with notice. No time or date stamp to notes when the meeting was displayed for the public. These notices should have a posting time stamp and a remove date (there were some really old notices still hanging on the doors). 1. The meeting was being held in a room with a closed door, not a problem if the meeting is identified. 2. There was no notice of meeting on the door welcoming public in the room. 3. There was no website posting to conform to state open meetings law SDCL 1-25-1.1. 4. The meeting started before the 4:00pm posted meeting time, when the camera was turned on, the first hearing was well underway. The cellphone is used to timestamp the meeting start. To sync multiple cameras in confusing situations, this allows the 4 – 5 camera setups to make sense to the viewers. It just helps to know what times we have to work from. Just for Open Meetings information, this could be a SDCL 1-25 issue. 5. There was no overhead projection to show the images on a common viewing platform so the audience could see what was happening. 6. There was no ability for the members to see the images being discussed causing great confusion, watch the members struggle to understand the issues being discussed. 7. There were no handouts for the audience, another potential SDCL issue. BTW, this was the last meeting with Tom Keller as the Chairman. He did a good job with the potentially contentious meeting the month before. In light of the Big Yellow House issues, thinking about this and past meetings attended, how many other potential bad decisions are made because the members and audience were left confused. Many have been asking why the new derelict looking Copper Lounge building looks so out of place downtown. Look at the brick and see how many different shades are visible. This building’s city owned facade shown in all the drawings and discussions was to be similar to the building destroyed through stupidity. We’re told the builders showed a small sample of the brick to the Board and it was accepted. Having experienced this meeting and others, one or two brick samples doesn’t begin to cover it. The process should be started to have the facade easement returned to the program. This is another situation where the process seems to be lost. How many more Big Yellow Houses are in the waiting? We’ve just finished up with an abusive, secretive mayor who controlled and hid much plus on the 13th the move to the Romantix Annex office building was started. Let’s try to start with an open attitude. 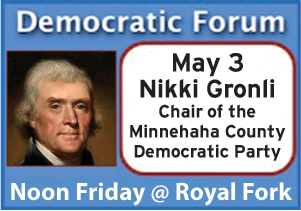 Janet Brekke set a new standard for Sioux Falls City Council thought provoking discussion on June 19, 2018. During the discussion of the fake Public Input control ordinance Brekke had to remind the proponents and everyone else what goes into proper process. We must remember, there is nothing lost if everything is in the open following proper process. The Selberg / Kiley fake Public Input ordinance controversy never had to happen. It was a brain dead proposal to shut off voices they did not want to hear, interfering in proposals they appeared to want hidden from us, the owners and customers of our city government. 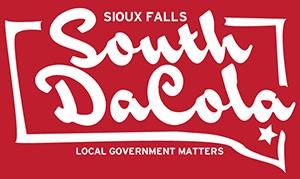 To help everyone understand, the city of Sioux Falls is technically a public corporation run through by-laws (A.K.A. Home Rule Charter). The Home Rule Charter gives the administrators certain responsibilities and are answerable to us, the stockholders. We citizens are the stockholders of the corporation, not the special interests who pay money to have more influence or pay platting fees. The last few years we have been teaching the public how and when they should redress their issues and concerns. This fake issue was shot down by the people, those who showed up and those who couldn’t. It appeared for the time being, the elected board of directors heard the message. On July 3rd we will need everyone to show up again to make sure the message was received and the Council does the right thing by getting rid of the fake problem. There is other work to be done. Just what did I talk about at public input? There has been some criticism from councilors and from the media about the frequency of certain commenters at public input. As I have noted, I ALWAYS talk about things concerning our city. I don’t talk about state government unless it has to do with city business and I don’t talk about Federal Government. I don’t even talk about my blog or personal things like community art shows. If I was trying to get ‘publicity’ wouldn’t I be talking about different things at public input besides city business, I don’t. I attend public input not only to address my concerns with city government, but the concerns of many citizens in this community who either don’t have the time to attend city council meetings or are to shy to comment. I read the minutes of the 26 meetings I spoke at, these are the topics I covered. I sometimes address several topics during the 5 minute period I am afforded. As you can see EVERY SINGLE TOPIC has to do with city government. No carrying on about personal government subsidies or how no one listens to me. Some say you can contact your city council outside of public input. I do, I also blog about a lot of stuff that I never address at public input. I will say this though, a majority of the council WILL not respond to emails or phone calls. Sometimes city employees/directors won’t either. That is why public input is important, it is a time to address concerns, in public and on the record. This is how you get results.